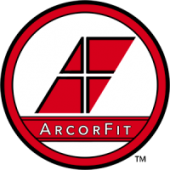 Do you have a group that would like to learn about the philosophy of the ArcorFit life? We do a limited amount of speaking engagements throughout the year. There is no cost, we just want to share our philosophy & how Awesome God is. This would consist of the personal story of our founder & how God has worked in his life. His testimony is a very candid look at failures and successes in life, business, family, sports & very personal stories of his relationship with God. We’re pleased to answer any questions you might have!